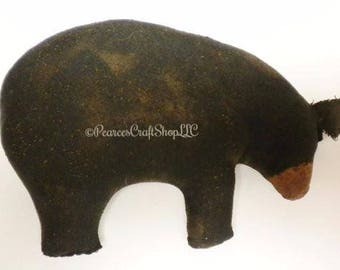 This wonderful Primitive Bear with Bees and Hive is great to accent a shelf or table or just to sit anywhere! 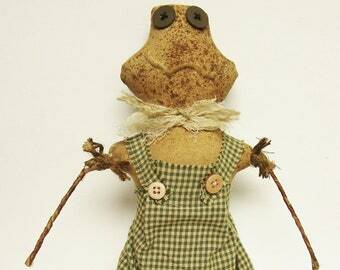 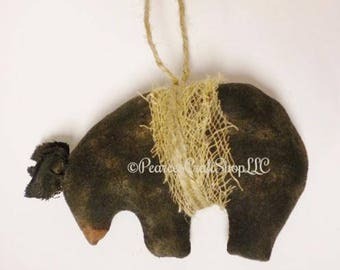 Handcrafted from stained and painted muslin this Black Bear is lightly dusted with cinnamon. 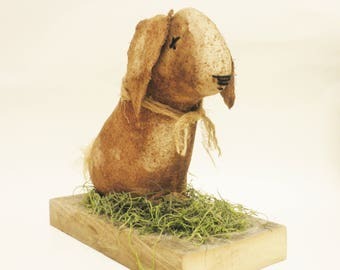 The adorable Bear sits on a weathered barn wood board base with a grapevine Bee Hive accented with green moss. 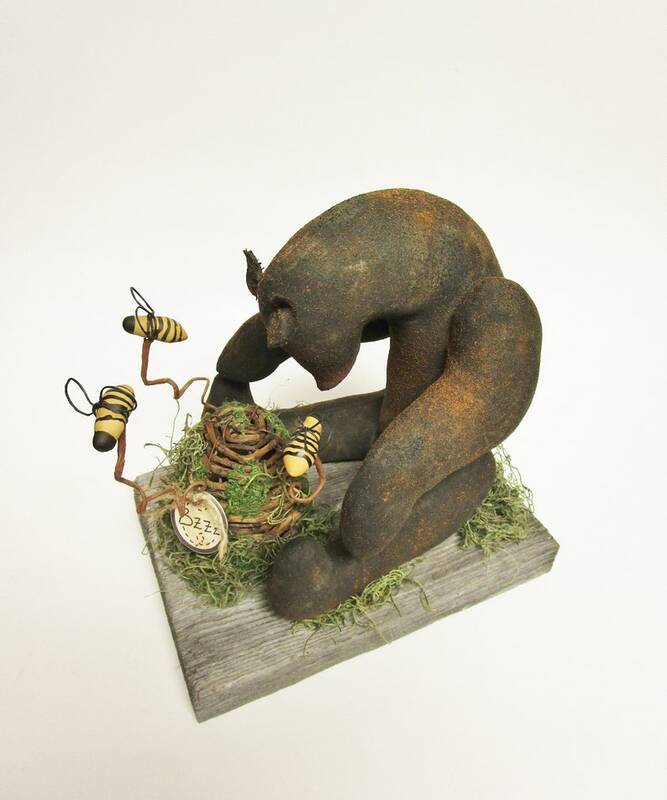 Three miniature bees on coiled wire buzz around the hive just under the Bear's nose. 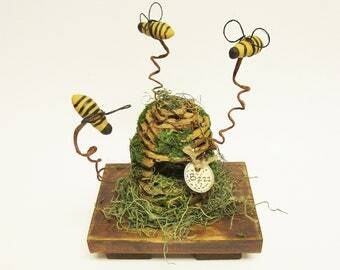 A stained "Bzzz" key tag is attached to the Bee Hive with twine and a rusty safety pin. 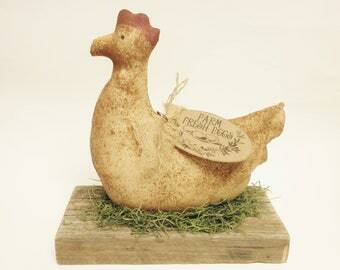 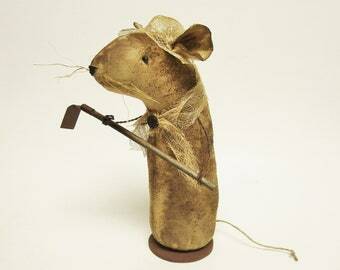 Measures Approximately 8 1/2" H x 8" L x 5 1/2" W. Intended for Decorative Use. 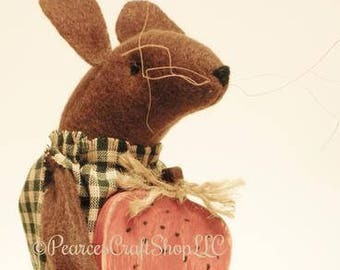 Wonderful unique Primitive Bear with Bees and Hive for seasonal or everyday decorating!